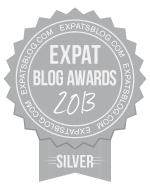 ExpatsBlog.com Expat Blog Awards 2013: Germany Silver Award! I enjoyed your blog and look forward to hearing more! I really do want to know more about your school.